The Toronto International Film Festival® has earned global recognition for its breadth of diversity and innovation in programming, and the lineup for the Masters programme is no exception. The slate of 11 films includes an outstanding list of prolific filmmakers known for taking stylistic and thematic risks with their work, including Alanis Obomsawin, the first and only First Nations female filmmaker to be featured in the Masters programme. Paolo and Vittorio Taviani bring the World Premiere of Rainbow – A Private Affair to TIFF. This classical piece of filmmaking tells the story of a young love triangle in Italy during the Second World War. Now in their 80s, the Taviani brothers have written or directed more than 20 films together and have won the Palme d’Or at the Cannes Film Festival and the Golden Bear at the Berlin International Film Festival. Lucrecia Martel, one of the most important filmmakers from Latin America and a reference point for international cinema, is also featured in the lineup. Her latest offering, Zama, is a cinematic masterpiece with a unique language and a particular point of view that reinforce her status as a master of the craft. Finnish master Aki Kaurismäki’s latest film, The Other Side of Hope (Toivon tuolla puolen), is a timely and touching film that follows a young Syrian seeking refuge in Finland as he searches for his sister. The film earned Kaurismäki the Silver Bear for Best Director at the 2017 Berlin International Film Festival. Veterans of the industry, these filmmakers bring decades of experience as screenwriters, directors, producers, film critics and actors. Collectively, they have produced feature films, documentaries, short films, television series, theatre productions and art installations. 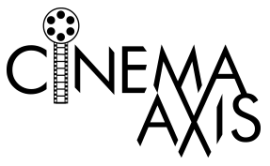 Many have received or been nominated for jury prizes at international film festivals, while others have served as members of juries. Known to challenge audiences, these filmmakers are true masters of the craft and are sure to excite and inspire audiences with their latest entries in the 2017 TIFF Masters programme. For film synopses, cast lists, images and more information see tiff.net/masters. Zama is a film I really want to see as I’ve been really interested in the work of Lucrecia Martel who has definitely become a unique voice in cinema that the world really needs.